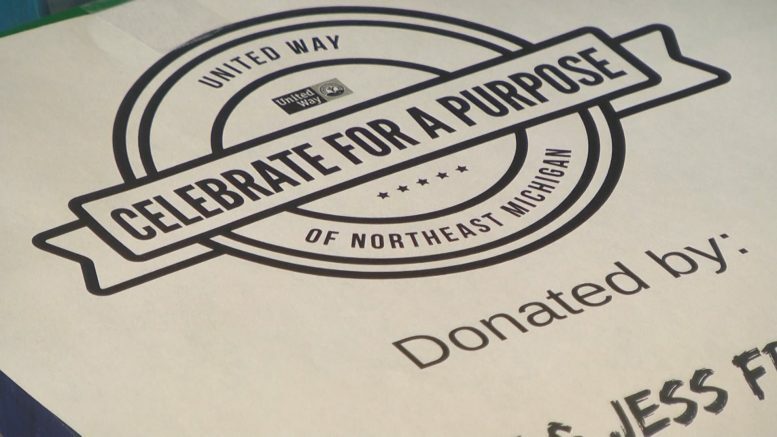 The third annual 'Celebrate for a Purpose' kicks off at 6:00 p.m. at the APlex. This third year fundraising celebration features a number of live and silent auction items, hors d’oeuvre, and small games. This year, a number of local business from the area donated items with everything from Lions tickets to refrigerators and flat screen TVs. The marquee item of the night will be a 2 night stay at the Grand Hotel on Mackinac Island. All of the money raised will benefit local agencies and organizations like the Boys and Girls and Hospice of Michigan. Organizations like these two depend on money to continue operating and making the ‘sunrise side’ a better place to live. A sellout is expect for this year’s celebration. Last year, over 200 people attended and raised around $25,000. The United Way’s campaign goal for this season is $217,000, up $2,000 from last year. Tickets are available at Cliff Anschuetz Chevrolet, Alpena Alcona Area Credit Union, The United Way Office, or at the door on the night of the event. Doors open at 6:00 p.m.